FOR AT LEAST TWO DECADES, we’ve known that the global climate is warming, that efforts to stop this trend are grossly inadequate, and that the future is uncertain at best, catastrophic at worst. We know that we need to kick the fossil-fuel addiction. We also know that even if we did this today and released not another molecule of CO2 into the atmosphere the temperature will still go up. Usually, we think about this looming disaster—when we think about it at all—in planetary terms: warming global temperatures, shrinking polar ice shelves, a rising and acidifying ocean. With his characteristically uncanny ability to get to the heart of the matter, Jerry Jenkins brings all this home, right here to the Adirondacks. What does it mean for this place? What can we do? 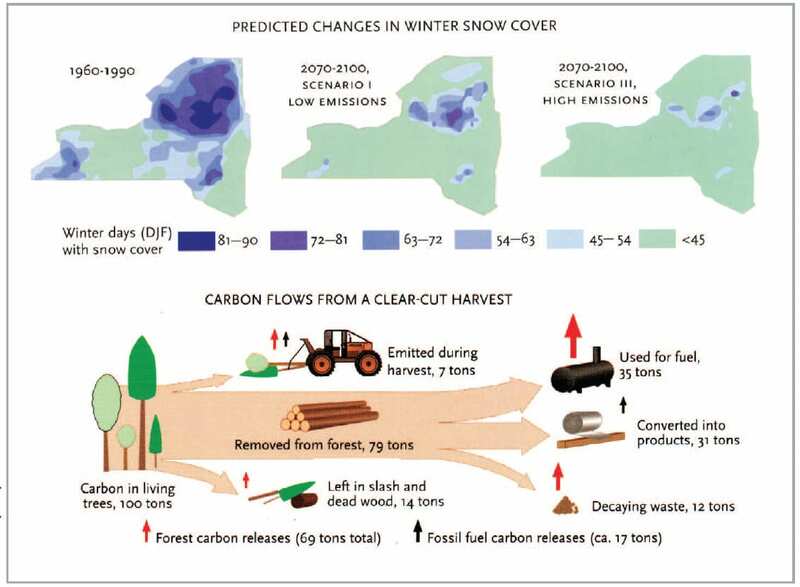 Climate Change in the Adirondacks: The Path to Sustainability is divided into two parts: “The Climate Problem” and “An Adirondack Strategy.” The first explains— clearly and definitively—what’s happening and how the Adirondacks is changing. The second lays out a series of steps we can take to end our addiction to fossil fuels and thus mitigate the change. In this section, he asks a provocative question: Can the Adirondacks “be the first place in America to demonstrate that a modern society can live without fossil fuels?” If this were to come to pass, it would provide a profoundly positive answer to another question, often repeated but seldom closely examined: can the Adirondacks be a model of environmental stability for the rest of the world? “If energy independence can be achieved, in America and by average Americans, it will be a powerful example and a hope for the world,” declares Jenkins, who is an ecologist for the Wildlife Conservation Society’s Adirondack program. His assessment of the recent past and his predictions for the rest of this century are dire. By all measurements, using all available data, taking all possible precautions against misinterpretation or exaggeration, Jenkins shows a warming Adirondack climate over the last century—by about two degrees (Fahrenheit). Temperatures from Adirondack stations and records of when lakes freeze and thaw and of precipitation irrefutably show a local climate that is changing, with “warmer summers and winters, earlier springs, longer growing seasons, and more rainfall.” All these trends have accelerated since 1970 and provide only a taste of what is in store. What will happen in the next century, of course, depends on what we do to control carbon-dioxide emissions, which have increased steadily since the beginning of the Industrial Revolution. Will they continue to increase? Or can we start the shift to non-fossil-fuel energy sources? The longer we wait, the worse it will be. Unlike much of the climatechange literature, which usually focuses on temperatures and how they affect everything from diversity of species to sea levels, Jenkins emphasizes action. Rather than dwell on imminent catastrophe, he keeps his eye always on what we can do. This requires a close analysis of energy production and consumption. How much energy do we use? How much do we need? How much energy comes from fossil fuels? Along the way, he gives us lots of numbers, but they are handled efficiently, with charts and graphs that elucidate rather than confuse. When we read figures on the level of 3.4 trillions of watts of power (what the U.S. uses in a year), the mind reels, but one of Jenkins’s many talents is reducing such numbers to a digestible state. 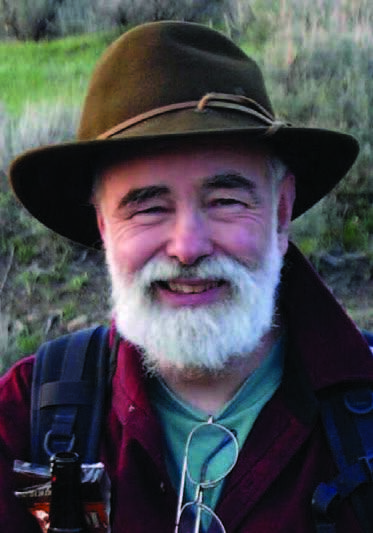 In addition to being a scientist with a firm grasp of physics, biology, and chemistry, Jerry Jenkins is a writer of much grace and dexterity. He reminds me of Rachel Carson and Sandra Steingraber, writers trained in the sciences, successfully explaining the complex environmental hazards of modern technology to a non-scientific readership. This is Jenkins’s third major book, following the Adirondack Atlas (2004) and Acid Rain in the Adirondacks (2007)—a body of work of astonishing breadth and quality. No Adirondack writer has done so much and done it so well since Verplanck Colvin, who worked tirelessly in the late nineteenth century to secure protections for ruthlessly logged Adirondack forests. And this has been accomplished with none of Colvin’s purple prose, towering ego, and endless self-promotion; in person and on the page, Jenkins is a low-key fellow. He marshals his data and lets them speak, and data that have been assembled and interpreted by him are articulate indeed. Jenkins’s best-case scenario has the Adirondacks by the year 2100 with a climate similar to what West Virginia has today. His worst-case prediction tells us that by 2100 we will have the climate of Georgia. The Adirondack ecosystem is home to many species living at the southern limit of their range. We have animals—martens, loons, and snowshoe hares, for example—that will be eliminated or, at best, much diminished, while new species will come in. This is already happening: there are birds in the Adirondacks now that were not here a hundred years ago: turkey vulture, cardinal, mockingbird, blue-gray gnatcatcher, prairie warbler, and others. And we have species that are declining and likely to disappear: spruce grouse, bay-breasted warbler, Bicknell’s thrush, three-toed woodpecker, and others. The summits that are now alpine, with tundra flora, will probably not be so a century from now. Other micro systems—lowland bogs and the Hudson River ice meadows, for example—will probably go into decline and vanish. There are no moose in Georgia. Jerry Jenkins designed the graphics for his book. The arboreal community will change: right now the Adirondacks is the southern edge of a vast temperate deciduous forest. That means that this forest is at the limit of the conditions it needs for a healthy mix. The sugar maple, one of our characteristic and most valuable trees, treasured for spring syrup and flaming autumn color, is in danger. What sort of forest we will have in 2100 and beyond is impossible to say, but it’s undeniable that climate change will alter it. Should we start now to manage the Forest Preserve in light of this reality? If so, that would mean radically changing or even throwing out the Adirondack Park State Land Master Plan. When he gets to assessing what we can do to reduce our carbon footprint, Jenkins provides a detailed but easy-to-follow account of how we use energy and what the consequences are. His descriptions of the actual carbon costs of, for example, riding in a car, heating a house, growing food, and buying and using a computer are enlightening. Did you know that for every seventyfive gallons of petroleum you use, another twenty-five were spent in getting it out of the ground, refined, and transported to where you could buy it? Or that producing wine is better, in terms of the carbon cost, than brewing beer? 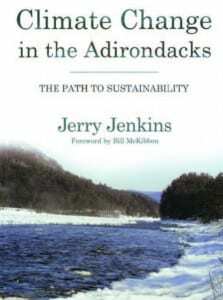 The meat of this book, the part that makes it truly original and useful, is Jenkins’s detailed examination of Adirondack life and his reasonable, practical prescription for how we can, indeed, wean this region from fossil fuels. The hopeful conclusion is that it’s possible, that by adopting a series of personal and regional strategies the goal of carbon neutrality is within reach. If we drive less in more efficient cars (there is a whole section on cars— electric, hybrid, some not-yet available but in production— that everyone should read before their next car purchase), design and live and work in energy-efficient buildings (there is also a fascinating section on home construction, with everything you need to know about heat loss, insulation, materials, heat pumps, rehabbing old buildings, and so much more), the Adirondacks could become carbon neutral. The last three chapters bring all this together: “Can the Adirondacks Become Energy Independent?”, “How Can We Finance Energy Independence?”, and “The Path Forward.” As Jenkins forthrightly admits, “getting these kinds of savings will not be cheap.” But he shows how the financing is clearly within reach. At the moment, the Adirondacks obtains eight hundred megawatts of power through petroleum—about two-thirds of its total energy consumption. 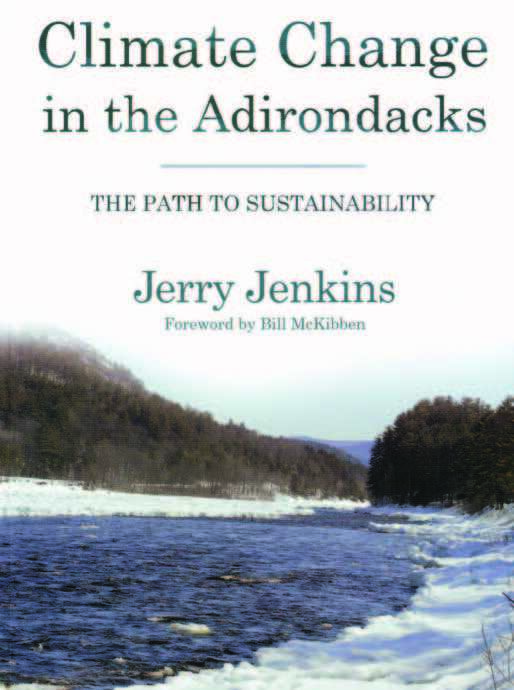 Nevertheless, Jenkins asserts that “energy independence in the Adirondacks is possible in 20 years.” This book shows that it can be done! If you care about the future of the Adirondacks, you must read this book.